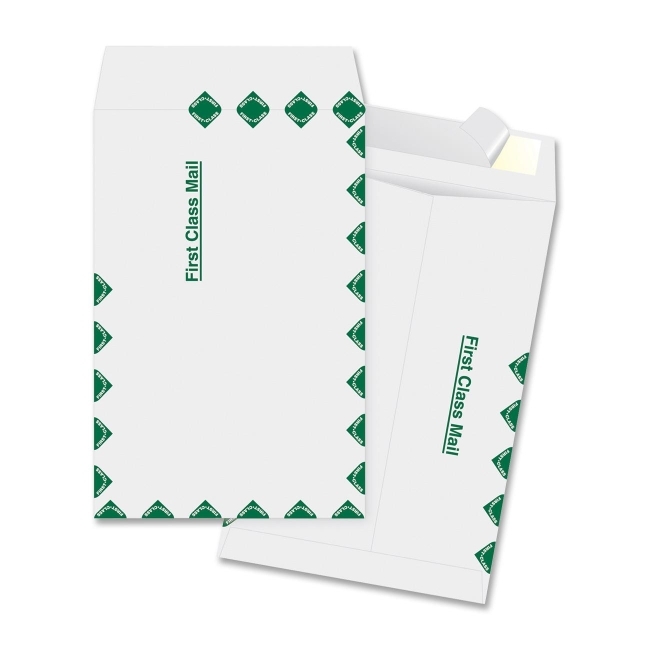 Catalog envelopes are made with DuPont Tyvek so they are strong and moisture-resistant. Release strip makes document easily accessible to recipient, yet maintains security of contents. Convenient peel-to-seal closure requires no moisture to close. 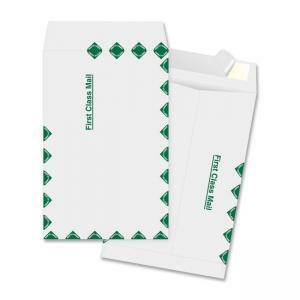 Printed "First Class" border gives mail greater attention.